Women’s College Hospital is Canada’s leading academic ambulatory hospital and a world leader in women’s health. Twilight was brought in to untangle a multidimensional knot and renovate the brand and wayfinding signage – no simple feat in a complex space. 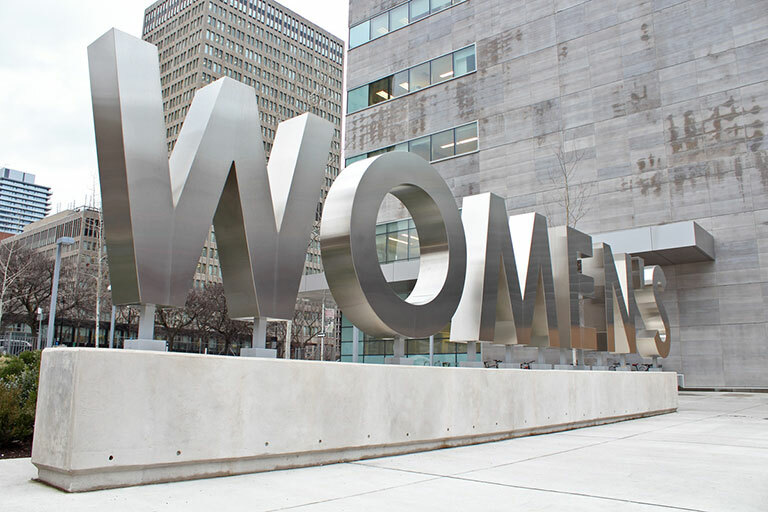 The Walsh Group sought a partner to renovate the external signage for Woman’s College Hospital. This comprehensive process began with a full audit of internal and external signage (uncovering some compliance issues along the way) and the development of a master signage plan to be approved by the City of Toronto. A world-class hospital is complex on multiple levels: as a large environment to navigate and a challenging project to develop. We worked with leadership to define key needs for branding and wayfinding – ensuring the building reflects a prestigious, innovative leader in healthcare, while making it easy for visitors and staff to get around in urgent situations. We created a signage ecosystem that delivers on both form and function. At the core is the landmark ground sign: a colossal, large-letter structure positioned front and center at the main entrance. 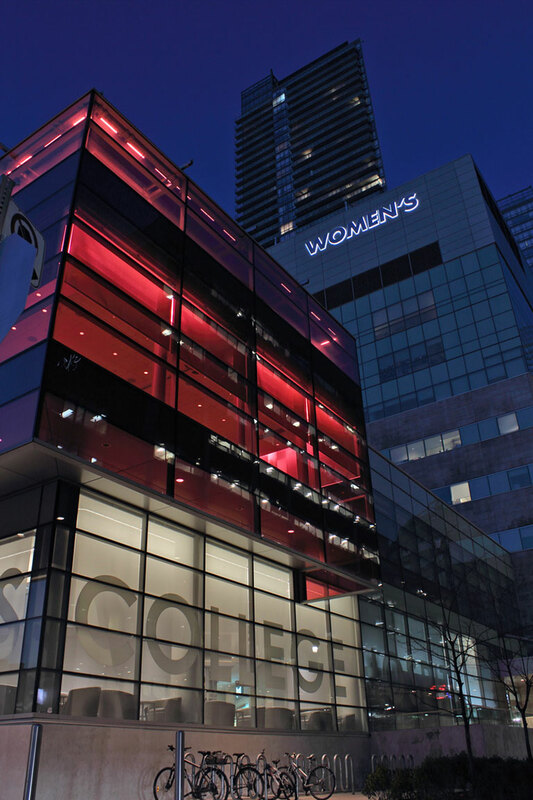 A complementary high-rise sign mirrors the ground version and enhances the building façade: produced in polished stainless steel and illuminated with halo accent lighting, Woman’s is now a distinct part of Toronto’s new skyline.